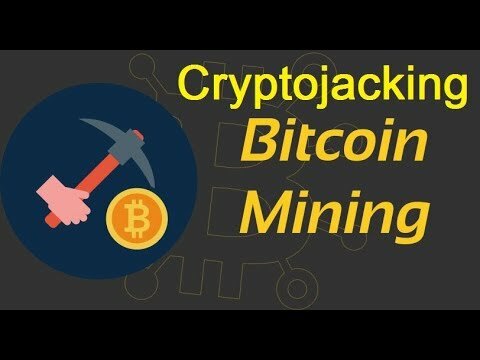 In the past we have published information about the millions of websites that attempt to use your pc to mine Bitcoin and other cryptocurrencies for them when you browse or peruse information on their sites. And very soon because of the amount of money involved in cryptocurrencies, this could also extend to every new application you use or download. The term for this type of malware and computer ‘capture’ of your pc’s processing power is known as crypto-jacking, and according to sources tied to the world’s leading anti-virus companies, this malware may even be in the myriad of extensions you use in your Chrome browser. One up-and-coming form of malware is called “crypto-jacking,” a process whereby a perfectly useful program secretly mines Bitcoin or some other crypto-currency in the background. The amount of mining on any one machine is insignificant — likely a value of a few cents per day, if that — but distributed over tens of thousands of machines, it can make a developer real money. The latest culprit is a popular Chrome extension called Archive Poster, which helps users repost Tumblr blogs. According to reviews on the Chrome store, Archive Poster is also secretly running Coinhive, a distributed-network crypto-currency mining program. Using Coinhive, the developer was mining a currency called Monero using other people’s CPUs and electricity. Ironically, voluntary allowance of websites and companies using portions of your pc’s processing power may become an option in the future in lieu of actual monetary payments for certain products and services. Ie…, companies such as Netflix, the Apple iTunes Store, or perhaps even Amazon may provide access to watch movies or download music in exchange for a certain amount of time using your pc to mine cryptocurrencies in a 21st century form of ‘pay per view’. 2017 saw massive increases in both the number of cryptocurrencies themselves, and the different ways individuals and companies co-opted millions of pc’s to perform cryptocurrency mining for their benefit. And it is vital that one keeps their malware and anti-virus software always up to date, because in a half a trillion dollar industry, there are no scruples or regulations stopping anyone from intruding upon your hardware and software.